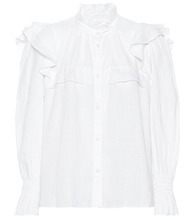 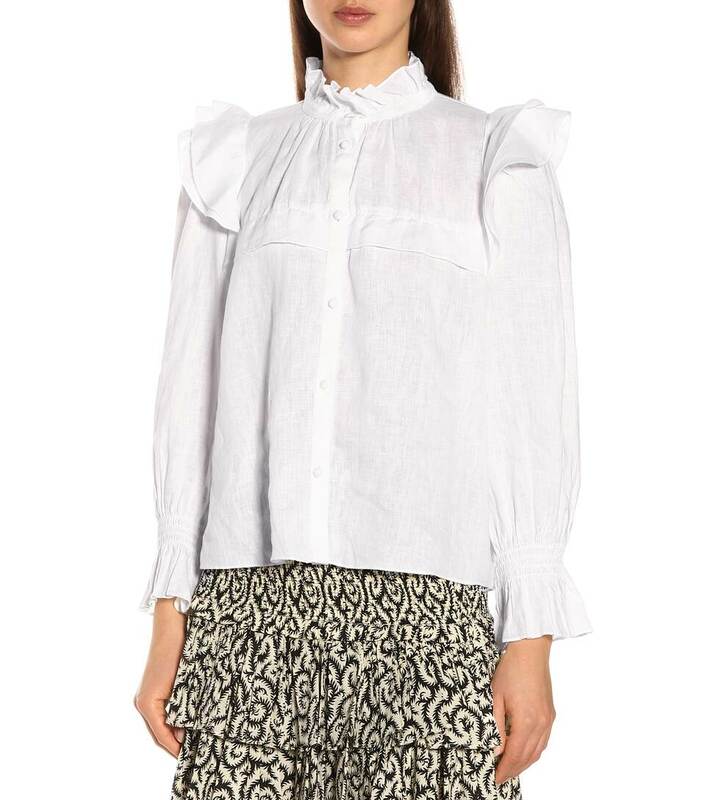 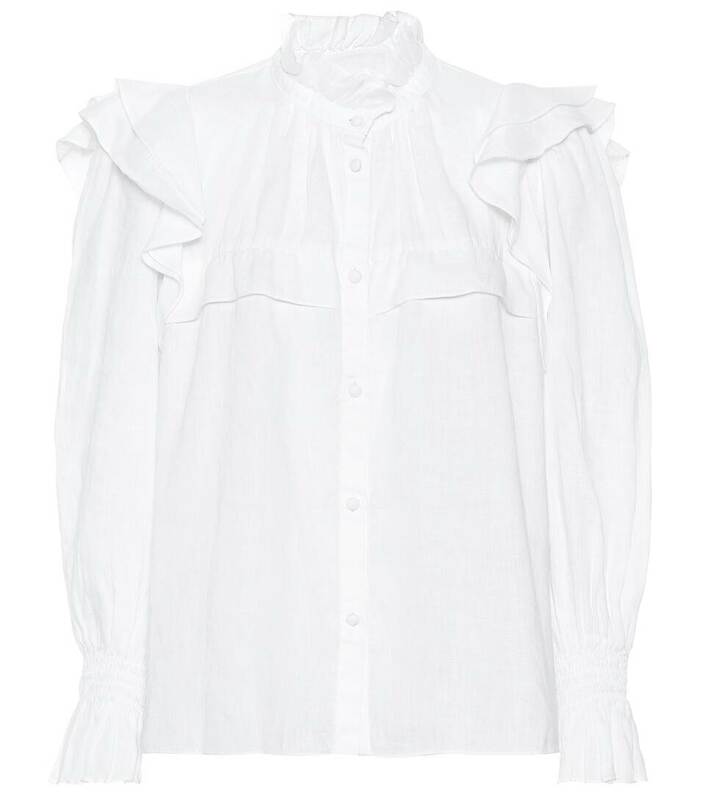 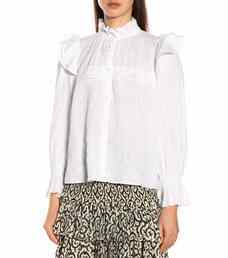 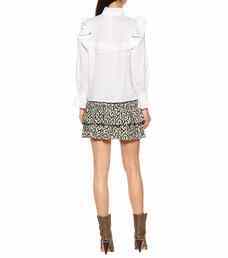 Charming ruffles trim the high-neck collar and yoke of the Tedy shirt from Isabel Marant, Étoile. 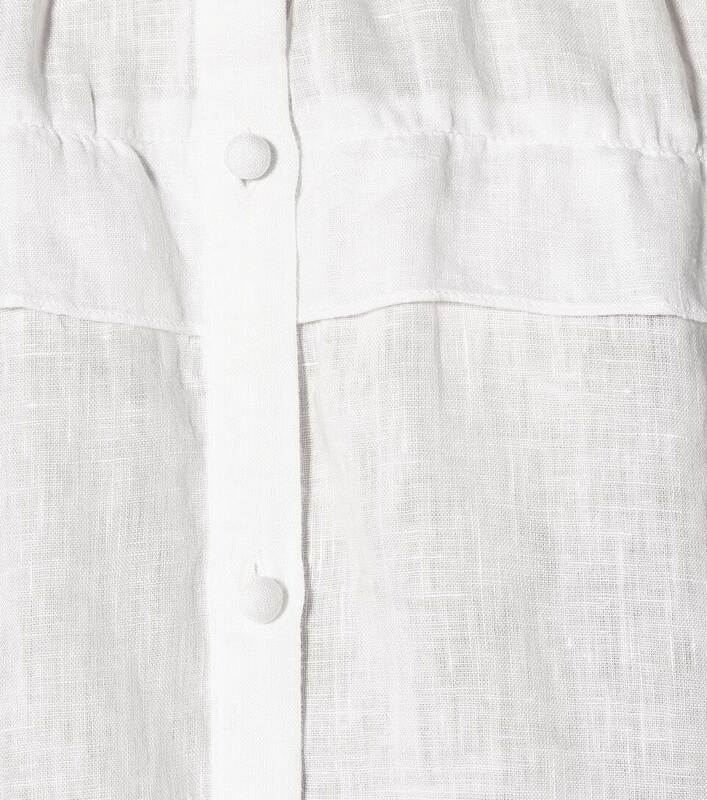 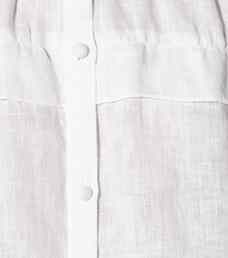 Crafted from breezy white linen, the design has a button-down from and long sleeves with smocked cuffs. 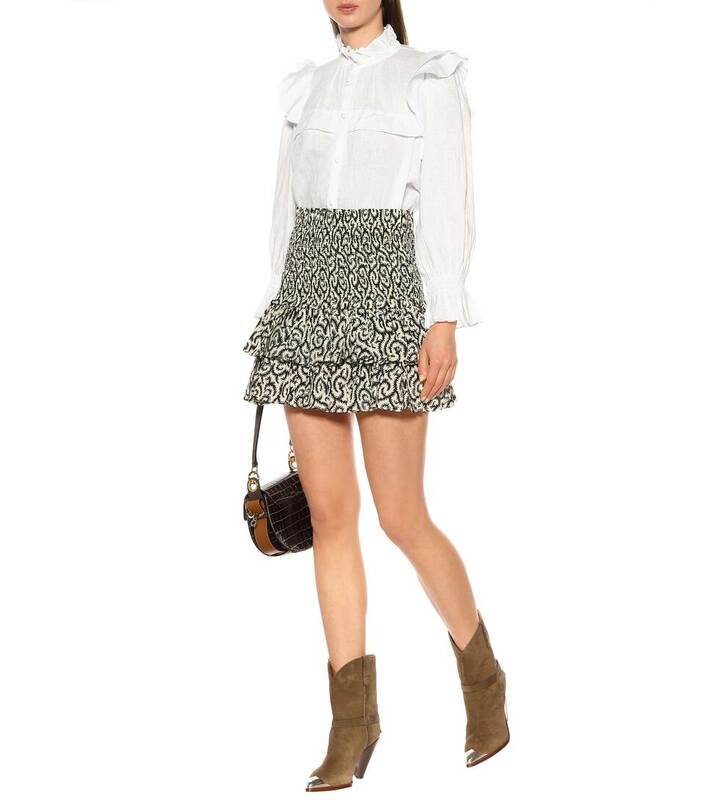 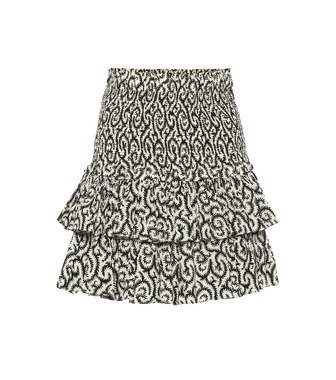 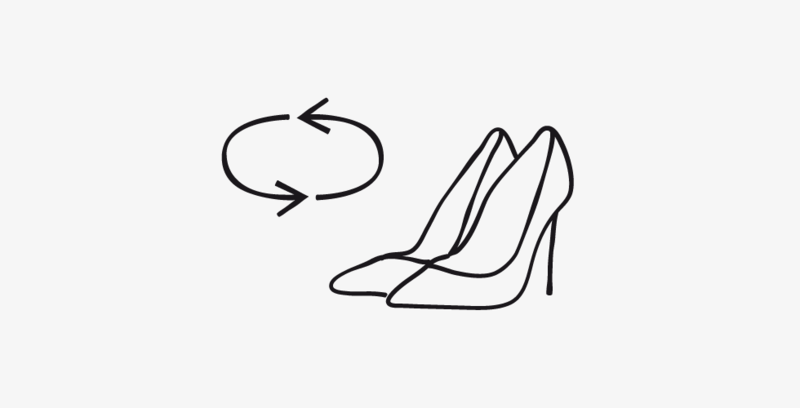 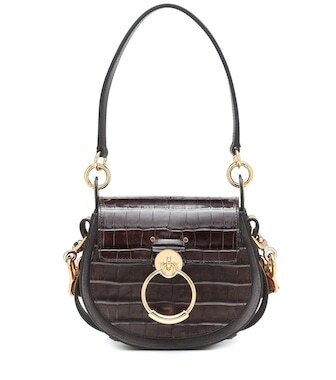 Wear yours with one of the label's printed miniskirts and a pair of ankle boots for strolling through Parisian streets.